2. 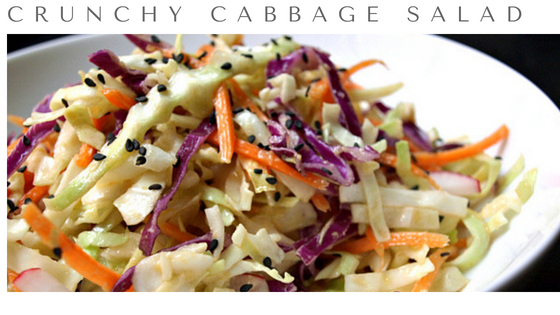 In a large bowl, toss the cabbage, carrots and sesame seeds together with the dressing. few hours if you prefer it more slaw-like.